Is Buying a Coop a Good Investment in NYC? 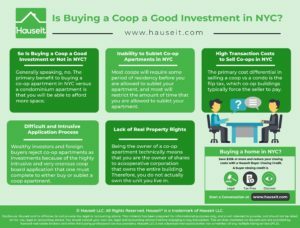 You’ve finally saved up the money for a down payment on an apartment in NYC and you want to ask, is buying a coop a good investment in NYC? This is a question that has perplexed New Yorkers ever since the late 1990’s, when the New York City property market really began to take off. As property prices boomed in the decades following, New Yorkers have had to grapple with ever more unaffordable home prices. Many New Yorkers simply threw up their hands in exasperation and decided to move to the leafy suburbs, places like Westchester and Rockland County. Others chose to stay in the city, but either in smaller apartments than they would have liked or further from the city center than they would have liked. Many growing families have opted to purchase co-op apartments instead of condos so they could afford more space. But just because coops are generally cheaper than condos, is buying a coop a good investment in NYC? So Is Buying a Coop a Good Investment or Not in NYC? Generally speaking, no. The primary benefit to buying a co-op apartment in NYC versus a condominium apartment is that you will be able to afford more space. Coops are generally 10-40% cheaper on average than condos of comparable quality. This means that you will be able to buy more space and square footage with the same amount of money in a coop than with a condo. This makes sense given the immense popularity of buying condos in NYC with investors and international buyers. If you plan on holding a co-op for the long term, it’s generally a better decision than renting since you can borrow a large amount of money and benefit from capital appreciation (rising prices) on the full purchase price. However, the benefits end there for coops. This is a major disadvantage for co-op apartment owners in New York City. Coops for the most part are not designed for investors. Most coops will require some period of residency before you are allowed to sublet your apartment, and most will restrict the amount of time that you are allowed to sublet your apartment. Furthermore, all sublets are subject to board approval and an onerous application process, similar to the board package purchase application process you have to undergo in order to buy the apartment. Lastly, there are often fees associated with subletting a coop apartment that you’ll have to pay the building, the managing agent or both. Typically, if subletting is allowed in the first place, you will see coop boards allowing sublets for every two out of five years, subject to board approval on a yearly basis. That means you must live in the apartment for sixty percent of every five year period! This is not optimal if you might have to move, change jobs or upgrade to a larger apartment in the future. Unfortunately, it’s not a simple matter to just sell your co-op apartment if you need to move. While you certainly can, the process is much more complicated and expensive than selling a condo in NYC. So is buying a coop a good investment in NYC? Not if you’re planning to sell at some point! Even if you hold a coop apartment until it passes to your estate, your heirs will still face the high closing costs associated with selling a co-op apartment. As you’ll see from our comprehensive Guide to Closing Costs in New York City, you’ll face some additional costs from selling a co-op versus a condo. The primary cost differential in selling a coop vs a condo is the flip tax, which co-op buildings typically force the seller to pay. This tax not only discourages speculative purchases, but helps build the co-operative corporation’s reserve fund. The flip tax can vary, but is often two percent of the contract sale price. In addition, you’ll have to pay the NYC and NYS transfer taxes as the seller, as well as both the buyer’s and seller’s broker fees. Considering that transfer taxes can add up to almost two percent of the sale price, and that the typical broker commission bill is six percent of the sale price, you’re already looking at ten percent in transaction costs before counting all the miscellaneous other closing fees involved! As you can imagine, losing over 10% of your sale price in fees just to sell won’t exactly be good for your return on equity. So is buying a coop a good investment in NYC? Probably not, unless you have a very long hold period and a very low requirement for investment returns. 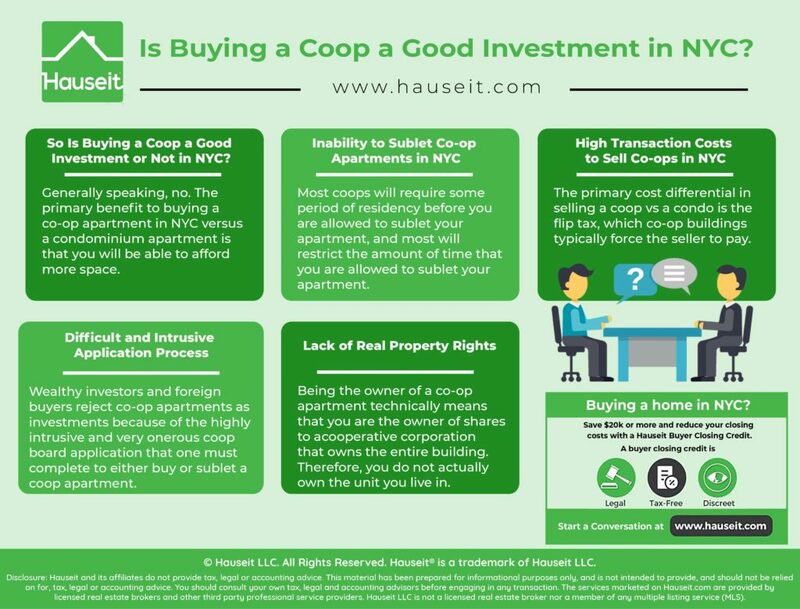 One of the reasons wealthy investors and foreign buyers reject co-op apartments as investments is because of the highly intrusive and very onerous coop board application that one must complete to either buy or sublet a coop apartment. As you’ll see from our Guide on Completing a Coop Board Package Purchase Application, you’ll need to provide tax returns, detailed personal financial statements, personal and professional reference letters as well as background checks. You’ll have to hand over sensitive bank account statements and reveal everything about yourself, including we kid you not, your memberships in LLCs and secret societies. They want to know every last thing about you! As you can imagine, this kind of disclosure is not only unacceptable to most people, but especially so for wealthy investors or celebrities who do not particularly care for nosy future neighbors to know everything about their business. Furthermore, co-op purchase applicants will typically face stricter financial requirements than those imposed by their bank lender. For example, many co-ops will require 25% or more in down payment, even if the buyer’s lender requires less of a down payment. Co-ops will also often require one or two years of maintenance in post-closing liquidity, which can be difficult for many buyers who are barely scraping by to make their down payment. Is buying a coop a good investment in New York City? Most investors will say no because co-op apartments do not count as real property. Being the owner of a co-op apartment technically means that you are the owner of shares to a cooperative corporation that owns the entire building. Therefore, you do not actually own the unit you live in. 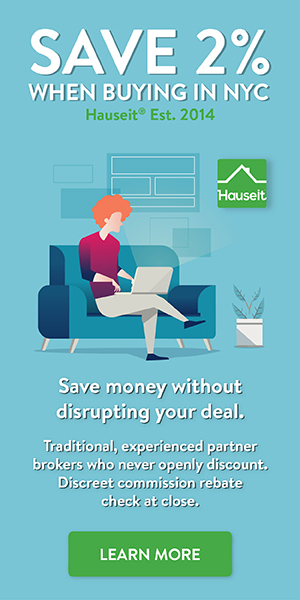 The cooperative corporation assigns you a proprietary lease that gives you the right to occupy the specific apartment you thought you purchased. This is why you sublet a coop apartment versus renting it. You are subletting because you are technically a tenant yourself! While this may be bad enough, the real kicker to not having real property rights as a coop apartment owner is the extreme power and influence of a coop corporation’s board of directors. Let’s just say this, if you are an indignant or combative person, it is probably best not to live in a coop. Remember that the co-op corporation which owns the entire building is structured just like any other business corporation. That means the elected board of directors has almost dictatorial power over all aspects of life in the building. The co-op board can amend the House Rules, which governs all aspects of everyday life in the building. The co-op board conducts in-person purchase application interviews and can reject applicants for any reason, without having to ever disclose the reason. Co-op boards can levy fines on shareholders, often without an opportunity to dispute the fine and often without even giving a reason for the fine. Yes, as harsh as that sounds, we’ve heard too many horror stories of co-op boards overreaching and handing out fines for the smallest of violations. Lastly, co-op boards can be petty in terms of holding onto power. Even though elections are supposed to be free and open, both condo and co-op boards often have people who just want to cling onto power. As a result, there is often a slate of nominees for the board that are decided by the existing board, and then presented to all shareholders for a vote. Ironically, how the slate is selected is never disclosed or opened up to the shareholders. We’ve heard stories of shareholders asking to be put on the slate and be told that it’s too late this year, but if they want to try they should submit their resume for next year. Once the shareholder submits their resume, they never hear back again, and the next year the slate goes out with the same roster of existing board members who want to cling onto power. What’s more egregious is the fact that the slate only has a total of five nominees (all existing board members) for five total slots on the board. How evil! It’s truly disgusting!